Saturday, April 20, 2019 @ 9:00a.m. Tuesday, July 09, 2019 @ 6:00p.m. Thursday, October 03, 2019 @ 6:00p.m. Thursday, January 02, 2020 @ 6:00p.m. Thursday, March 28, 2019 @ 6:00p.m. Thursday, June 20, 2019 @ 6:00p.m. Tuesday, September 10, 2019 @ 6:00p.m. Thursday, December 12, 2019 @ 6:00p.m. Tuesday, February 12, 2019 @ 6:00p.m. Tuesday, May 07, 2019 @ 6:00p.m. Saturday, August 03, 2019 @ 10:00a.m. Thursday, March 07, 2019 @ 6:00p.m. Thursday, May 30, 2019 @ 6:00p.m. Thursday, November 21, 2019 @ 6:00p.m. Logan is a pleasant, active kid who is a joy to be in his presence. He is friendly and loves to engage in a conversation. He is shy when he meets new people but once he gets to know them, they should be ready for a conversation. He loves playing outdoors and helping out around the house. Logan is looking for a forever family that will assist him with reaching his full academic potential. Logan attends church and is a Junior Deacon. Logan is a loving child who is looking for a forever family to share his love with. Are you the family for Logan? Faith is a typical teenage girl who loves fashion, makeup, getting her nails and hair done. She is a social butterfly who gets along great with peers and make friends often. Faith listens to various types of music and she a member of her school’s soccer team. She is a very good student who maintains honor roll status. Faith is a very loving teen who has an outgoing personality and a joy to be around. Faith is smart, athletic, and an all-around great girl. She is a very responsible teenager and wants to be a part of a forever family. Ian is an outgoing teenager who enjoys hunting, hanging out with peers, and playing video games. He is a big family person and he enjoys having a good time. He enjoys watching and playing sports. He plays football for his high school and excels academically. He is looking for a family that is supportive of his love for sports and hunting. Ian is interested in the ability to have a forever family that can assist him through the twist and turns of the transition from teenager into adulthood, and each day thereafter. Ian has expressed the desire to remain in the State of Louisiana, however he is opened to meeting new families. ​Harley is an outgoing kid who loves being around people and helping others. He has an infectious smile and a kind heart. When it comes to basketball and baseball Harley is a sports fanatic. His hobbies include playing video and computer games, reading, building legos, and collecting Pokémon cards. His favorite colors are red, black, and yellow. Harley has a big appetite and his favorite dish is gumbo. He is a 5th grader who loves reading and maintains average grades. He is looking for a forever family who is willing to receive all the love he has to give. Zaranea is a very girly teenager who loves fashion, getting her hair and nails done. She is a very good dancer and from time to time you will find her making up various dance routines with her peers. Zaranea is very shy when she first meets someone, however when she is comfortable with you she can be expressive. She is in Middle School and is doing well academically. She is looking for a family who is willing to give her unconditional love. She adapts well in new environments and is opened to adoption and meeting new people. Are you the family for Zaranea? Lester is a delightful active young man who is a joy to be in his presence. Lester is an all- around athlete and loves the great outdoors. He enjoys playing basketball, football, soccer and skateboarding. He is competitive and is always ready for game. On a nice sunny day, you will find him outside on the courts shooting hoops or skateboarding. Lester is a helpful young man who loves to help out around the house especially in the yard. Lester is shy when he meets new people but once he gets to know you, be ready for a conversation. He is looking for a family that will help him reach his full academic potential. Meet ten year old loving, sweet, and affectionate Braylon. He is currently in the 4th grade, and looking for a family who will take time out to assist him with improving his reading skills. Just like most ten year olds he loves to be the center of attention and giving big hugs. In his free time Braylon enjoys drawing, playing on his tablet, and building with his Legos. In conjunction with his love for snacks and gum, he loves the superhero Captain America. Braylon is also a bit of an athlete and he expresses his love for football and basketball. 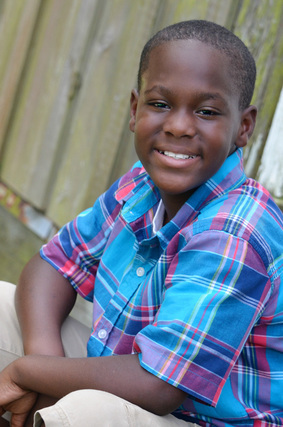 Braylon is seeking a family that is able to provide him with love, attention, and quality time. Arianna is a 13 year old female who prefers staying indoors on a nice sunny day. She has a pleasant personality. She is shy upon her meeting you but once she warms up to you, her conversations are never ending. Arianna is in 7th grade regular education classes. She has the ability to exceed academically; therefore her forever family will need to assist her with reaching her full academic potential. Arianna is looking for a family who is willing to be a support system has she transitions form her teenage years to young adulthood. Overall she is a fantastic young lady looking for a forever family. Marquisa is a thirteen year old male who is very athletic. He enjoys playing, basketball and video games. He played recreational basketball in the past. Marquisa's favorite basketball team is the Golden State Warriors and his favorite player Steph Curry. He plans to try out for the basketball team at school. He is in the 7th grade and makes average grades. Marquisa has good relationship with peers. He is able to make and keep friendships. He has a big appetite for a small person. He's doesn't have a specific favorite food. Marquisa is looking for a loving and caring forever family. Meet twelve year old Jordan! Like most boys his age, Jordan loves playing video games. However, Jordan is not content being playing games alone, as he is quite the social butterfly. Jordan loves school because it is the place where he can gather with his buddies and talk about TV shows and video games. According to Jordan’s teachers, he is focused in school when it comes to completing school work and homework assignments, as reflected in his grades. Jordan performs above average in most of his subjects, but can sometimes need redirecting when it comes to maintaining his academic success. Though Jordan enjoys being outdoors, and has the energy to potentially be a good sportsman, however, he does not name any sport as one of his favorite things to do in his spare time. Jordan has siblings who are currently in foster care as well, and would love for his new family to make sure he remains in touch with them. If your family believes that Jordan could be the missing piece to your family’s puzzle, inquire for more information today. Ten year old Fabian prefers sitting on a couch or chair anywhere if in front of him is some kind of video game device for him to play with. Despite having the ability to socialize with peers, Fabian chooses to spend all of his free time engaged in playing video games or learning new techniques on any electronic device. In fact, the only thing Fabian likes doing more is eating pizza and being treated to a pizza serving restaurant! Fabian is a very intelligent young man, as he excels in every subject including Math and Science. He is still trying to figure out what he wants to do when he grows up, but thinks it might have something to do with designing (you guessed it) video games! Fabian would like his potential family to know that he wants to maintain contact with his siblings who are also in foster care. Fabian is known to have had some social skill issues when it comes to his siblings and peers, but with a family willing to spend time teaching and modeling appropriate social interaction, it is believed that this handsome young man can turn things around. If you are interested in learning more about Fabian, please do not hesitate to inquire today. When 11 year old Aliyaha was asked about her Forever Family, she stated she wants her parents to love her and allow her to keep in contact with her sister. Aliyaha enjoys dancing and she participated in a Hip Hop Dance Recital. Like other children her age, she enjoys playing video games, especially Just Dance video games, visits to the bounce house, watching Teen Titans and Andi Mack. Aliyaha's favorite subjects are Science and Social Studies. She longs for a family that can provide her with love, patience, and support she needs to continue grow and prosper. If you are family with a big heart and willing to give unlimited love, support, and encouragement, Aliyaha is the child for you. Zia'Lela is a bubbly, happy ten year old beautiful girl. She loves to laugh at others and has others laughing with her. Zia'Lela loves to read, play with baby dolls and castles. She enjoys drawing and dancing and playing games she makes up herself to play in the house. Zia'Lela is in the 4th grade in regular education. She enjoys going to school and she makes good grades and her conduct grades are good as well. She belongs to the "Girls on The Run" program at her school. This program teachers her different kinds of dances and cheers. Zia'Lela foster mother said she is very outgoing, friendly and she shows others respect. 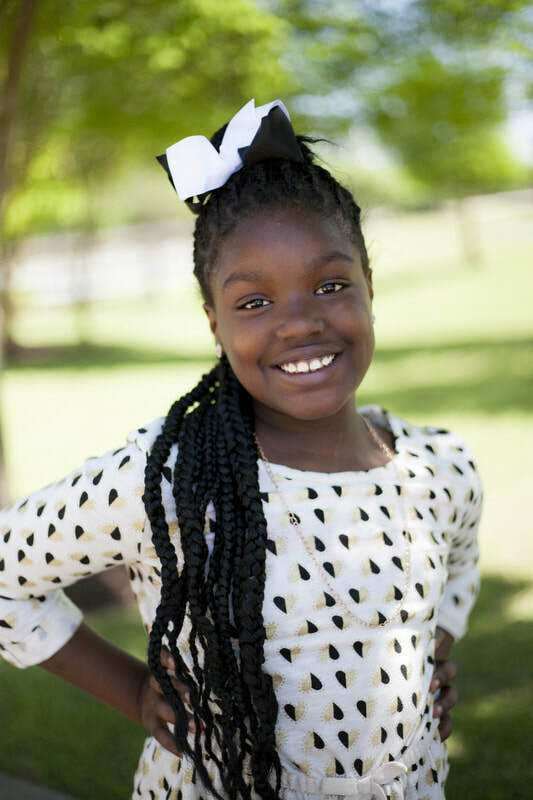 Zia'Lela does have siblings in foster care that she would like to maintain contact with. Ryder is a handsome, friendly little boy with a delightful smile. He is 11 years old and is enrolled in 4th grade special education classes. Even though he receives special education services, he has the potential to excel academically with consistent structure. On a beautiful day, you will find Ryder outdoors playing football, his favorite sport. His favorite team is the New Orleans' Saints. On Sunday afternoons you will find him in front the t.v. cheering for his team. Ryder also enjoys playing video games. Ryder would thrive in any home that will provide him with the love and care needed for him to reach his full potential.